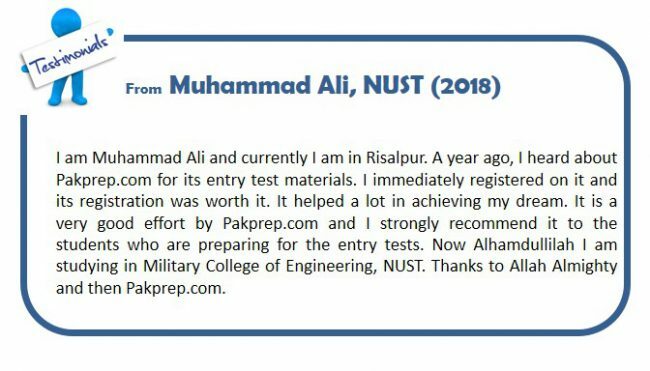 Pakprep.com is best online self-preparation system for any entry test. Pakprep.com is equipped with 15000+ solved MCQ’s along with explanation, past papers, MOCK tests and smart analytics. MOCk test simulates of real time test environment for NUST, GIKI, UET and other leading universities. Smart analytics will maintain complete log of your mistakes and help you to improve your performance. We have more than 500 successful students from last year. To secure a seat in your dream university, start your preparation today with Pakprep.com. To start your preparation CLICK HERE. Binary transition metal compounds, such as the oxides and sulfides, are usually written with idealized stoichiometry’s, such as FeO or FeS but these compounds are usually cation deficient and mostly never contain a 1:1 cation:anion ratio. Thus a substance such as ferrous oxide is actually a nonstoichiometric compound with a range of compositions. For homogeneous catalysis reaction between liquids, the catalyst should be of which form? In chemistry, homogeneous catalysis is a sequence of reactions that involve a catalyst in the same phase as the reactants. Phase here refers to solid, liquid, vs gas. Most commonly, a homogeneous catalyst is co-dissolved in a solvent with the reactants. The oxidation of oxygen in peroxides is? Peroxides include hydrogen peroxide, H2O2. This is an electrically neutral compound and so the sum of the oxidation states of the hydrogen and oxygen must be zero.